Carl Rath is bassoon professor at the Lawrence University Conservatory of Music in Appleton (WI) where he directs the Viking Bassoon Ensemble (ViNE) and teaches classes and seminars in popular music and The Beatles. For 22 years he was Principal Bassoon of the Oklahoma City Philharmonic during his 31-year tenure as bassoon professor at the University of Oklahoma. He has soloed with bands and orchestras in the U.S., Taiwan, and Austria and collaborated in numerous chamber music performances in the U.S., Europe, and Asia. 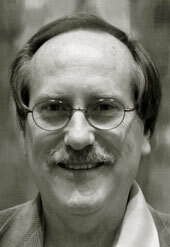 Rath is active as a recitalist and clinician in bassoon and chamber music, performing and teaching at several double reed days in the U.S. Rath studied music education, bassoon, percussion, and composition at the Lawrence University Conservatory of Music, graduating in 1975 with ‘Distinction in Performance’ honors. In 1977, he earned the MA degree in Music Performance from the Lamont School of Music at the University of Denver. His performances have been heard on European and American public radio programs and is on five CDs. He has taught at the Red Lodge Music Festival since 1980.